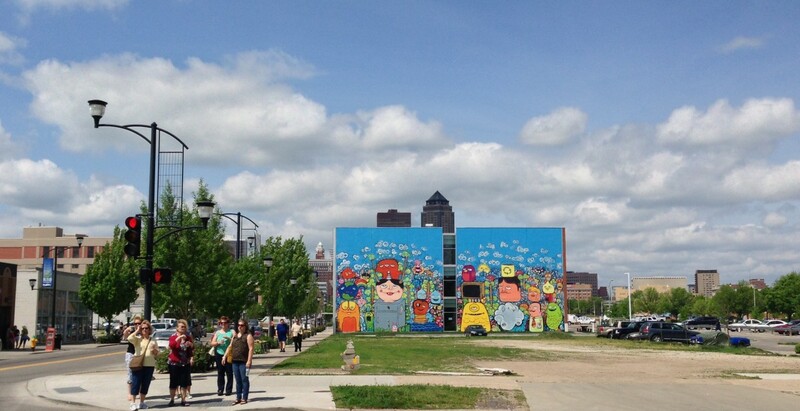 “No Action Too Small” is a 30 feet by 60 feet mural by Chris Vance. 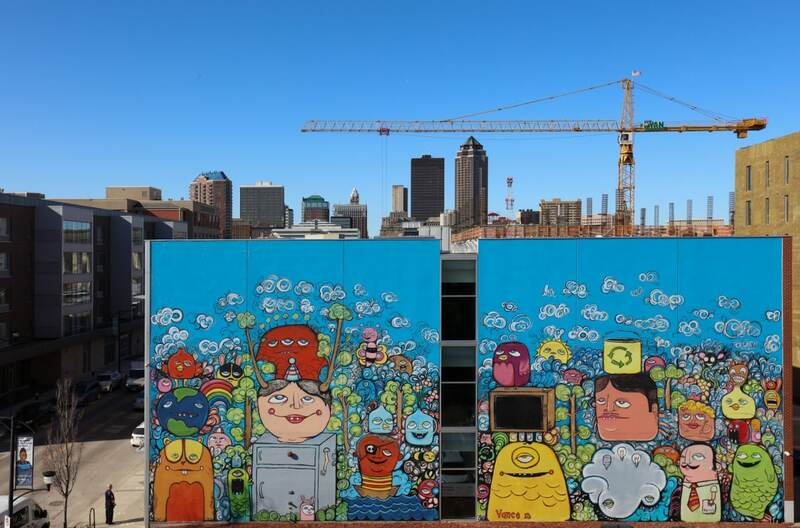 It was commissioned in 2013 by the Metro Waste Authority for its central office in the East Village of downtown Des Moines as an educational tool that integrates the artist’s style with its environmental mission of providing safe, smart waste disposal and recycling. For this project Vance incorporated typical metro waste — plastic bottles, newspapers, refrigerators, etc. — into his narrative. Art is my diary. Throughout time art has marked place and time. My work is the expression of daily events that form ideas and transform the canvases. I don't attempt to settle the piece before paint hits the canvas. I like the canvas to tell me what it needs in the form of line and color. I look at composition and balance, and my feelings drive the piece on a subconscious level.